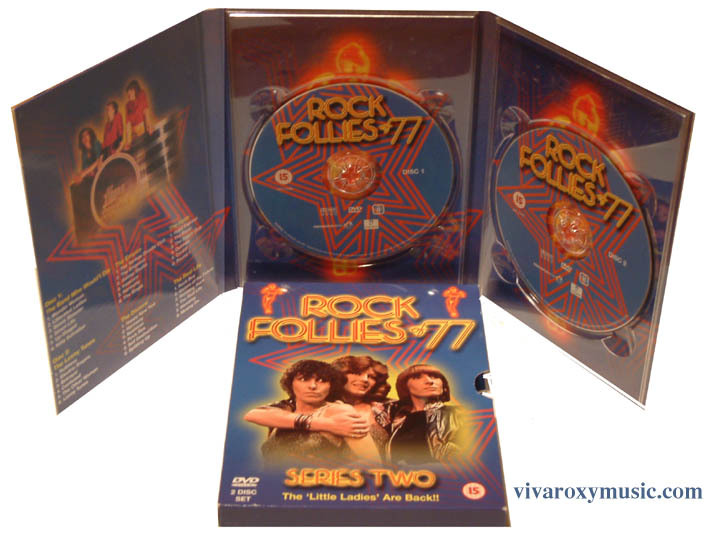 This DVD has all 6 episodes from the second and final series of Rock Follies originally broadcast in 1977. Andy Mackay wrote the music for the series with Howard Schuman writing the lyrics as well as the screenplay. There is also an interview with Andy MacKay as a special feature on one of the discs. SLEEVENOTES The 'Little Ladies' are back! The papers called them 'The Band Who Wouldn't Die' and that remains there motto as they gig at night and struggle to survive against the predators and cons of the rock world. Guided by the dynamic Kitty Screiber, the 'Little Ladies' are on their way. Their first stop is a recording studio where they cut their first single. However, they soon discover that it's a tough ride and it soon gets tougher when they clash with a punk rock group. Will they be able to survive the roller-coaster ride of the music business and fulfill their dreams.